For ATV operators, the Memorial Day weekend is not only a great time to get their machines out of storage and tuned up for the summer, it's also one of the most deadly weekends of the year. Full Article: Memorial Day: The Most Dangerous ATV Weekend? There's no gift more precious to a mother than her kidsâ€™ safety and happiness. Safety and peace of mind are far more long-lasting than any box of chocolates or bouquet of flowers. Every momâ€™s wish is for their child to enjoy what they love and live a safe and healthy life. We wish we could point you in the direction of a book entitled "Every Single Ride Area in the U.S." Wouldnâ€™t that be great if you could simply plunk down $20 and buy such a thing? Unfortunately, a book by that title or anything like it doesnâ€™t exist. There are too many different agencies and too many private entities running ride areas to find them all organized under one roof. And on top of that, itâ€™s almost as if many of the smaller, hidden riding areas in this country are known only by the locals, who seem to keep the best spots a highly guarded secret. Full Article: Where Can I Ride my ATV? Back in 1991 something happened in Washington D.C. that would turn out to be a big plus for off-highway recreation. 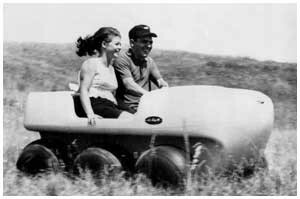 At the time it was called the Symms Act and was named after Senator Steve Symms of Idaho who proposed in the Act that a portion of Federal gas tax money should go to off-road users (this was after a lot of hard work by OHV activist groups including the BlueRibbon Coalition). How you can be involved in the process to designate motorized trails and roads on your nearest U.S. National Forest. The basic design of most off-road goggles is pretty much the sameâ€”flexible plastic frames with a foam perimeter that works as an air filter to keep dust and sand out, but allows for circulation to keep fogging down. More expensive goggles might feature things like no-fog coatings, light-sensitive lenses, sweat-wicking face foam, or micro-filtering vent foam. Is it possible that thereâ€™s a How-To book for starting and running an off-highway vehicle park?! Yep, and itâ€™s available right now from the folks at the National Off-Highway Vehicle Conservation Council (NOHVCC). 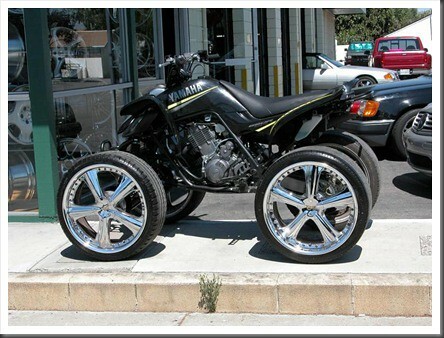 What Kind of ATV is Best for You? The following are the profiles of five entirely different, yet typical, potential ATV buyers. They each have their own set of requirements for their intended machine and may face many of the same decisions you will be making. Check them out to see if any of these resemble your own ATV profile. Full Article: What Kind of ATV is Best for You? 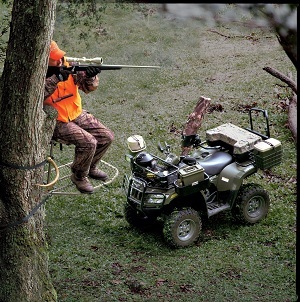 Over the past couple of decades, ATVs have embedded themselves deep into the hunting culture. Theyâ€™ve become such an important tool that many hunters now wonder how they ever got along without them. However, the use of ATVs by hunters has also sparked up controversy, and it's usually the result of riders not following common-sense courtesy rules or fair-chase procedures. 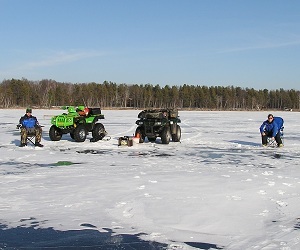 It is of course easily possible to keep other hunters, trail users, and land owners all content with your choice to utilize ATVs in your next big hunt and at the same time maintaining a good image in the eyes of the general public who may raise a few eyebrows when the words "hunting" and "ATVs" are used in the same sentence. Over the past couple of decades, ATVs have embedded themselves deep into the outdoorsmenâ€™s culture, including hunting and fishing. 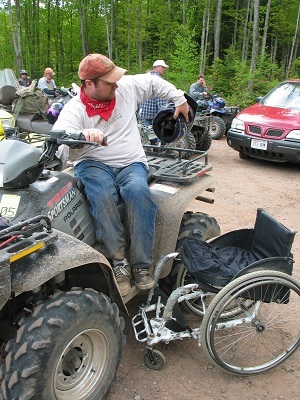 However, the use of ATVs by some outdoorsman has created controversy, and it usually is the result of riders not following common-sense courtesy rules. It is of course easily possible to keep other fishermen, trail users, and land owners all content with your choice to utilize ATVs during your next angling expedition. For many physically disabled people, the quest for outdoor recreation is just as strong as it is for able-bodied folks. Avid hunters, fishermen, archers, snow skiers, and snowmobilers don't allow their various disabilities to stand in the way of their favorite outdoor sports. In fact, many clubs and organizations for disabled people offer a calendar of events filled with outdoor experiences. Adaptive Sportsmen, a relatively new organization based in Wisconsin, has organized many successful hunting and fishing expeditions over the past year for their members. Costs are typically held to a minimum by the generous donations from outdoor businesses and the help from enthusiastic volunteers. 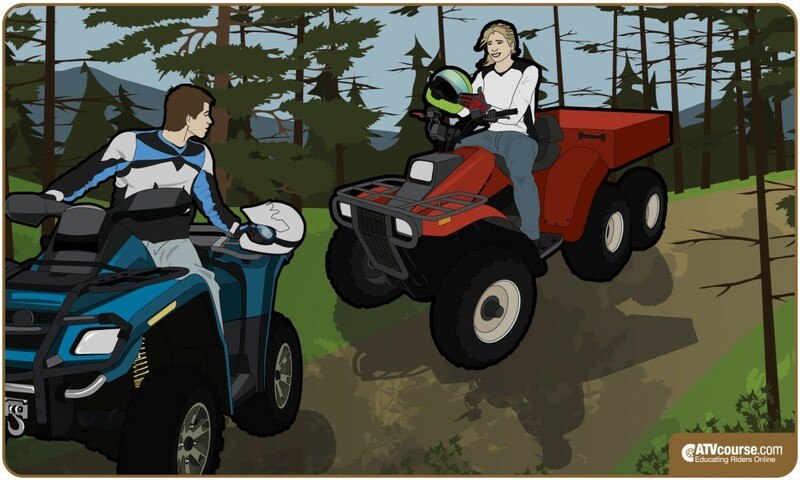 Once you've passed your ATV safety course, there are a world of uses and functions for your ATV that you may not have thought of. 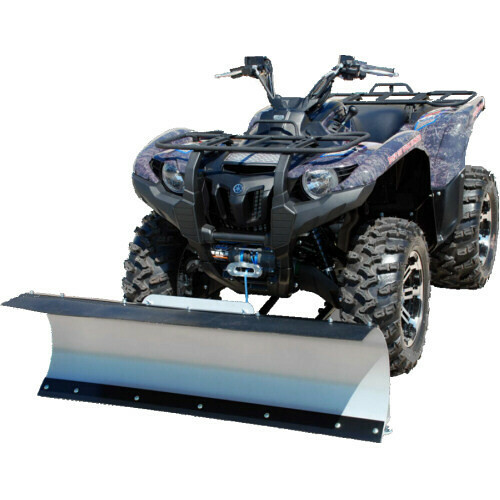 From mowing the lawn to removing snow to loading logs we've created a list of 13 unique uses for ATVs you'll be surprised to discover. Like most things, off-highway vehicle recreation in America is a constantly evolving situation. Back in the late â€˜60s and early â€˜70s, when dirt bikes were first becoming popular, riders pretty much rode wherever they could get away with it- which as it turned out, was just about everywhere! For those of us who were around back then, memories of wheelying down the middle of your street to the empty lot behind the gas station now seem pretty nostalgic. Finding places to ride was laughably easy back then. Three major off-highway vehicle organizations are dedicated to the advancement of the sport of ATV and dirt bike riding. Rather than having similar agendas, each one of the three organizations serves a different purpose for the recreational ATV rider. 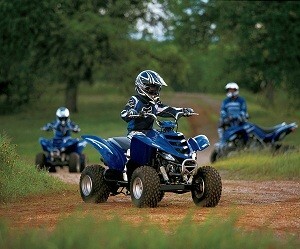 Off-road riding is a great family activity. Itâ€™s a chance for young people to learn new skills and develop self-confidence, and parents find exploring the out-of-doors a wonderful way to spend time with their kids. Letâ€™s face it. The main driving force behind virtually every ATV area that is newly opened (or saved from closing) are well-organized groups of drivers and riders. The truth is, each of us on our own doesnâ€™t really have much of a voice when it comes to the complicated and drawn-out process of opening and saving off-highway recreation areas. But as a group, whether through coalitions, state ATVorganizations or as local clubs, we have a strong, unified voice that the movers and shakers in our communities tend to listen to. The National Off-Highway Vehicle Conservation Council (NOHVCC) is a large group of ATV activists from all over America. When the organization gathers together in one room for their annual conference, they get asked many questions regarding ATV recreation issues in their neck of the woods. When asked what the number one obstacle is to keeping riding trails open, the overwhelming response is "Sound"
Need help with ATV issues? Call these guys! Admittedly, the name National Off-Highway Vehicle Conservation Council is a mouthful to say as well as a bit confusing. But in reality, the groupâ€™s purpose and mission is quite simple and straightforward. The folks at the NOHVCC are basically professional consultants for off-highway vehicle activists and land managers. And being professional doesnâ€™t mean their services cost a bundle. In fact, many of their services are free for the asking. Full Article: Need help with ATV issues? Call these guys! A group of 24 OHV Program Administrators from 17 states have been working to create a new OHV Program Administrators organization. This new organization is called the International OHV Program Administrators Association (INOHVAA, pronounced In-Oh-Va).